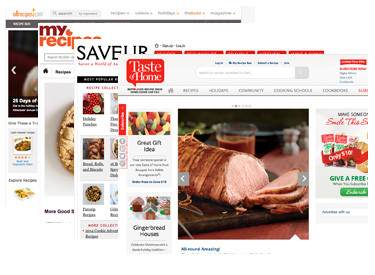 Save recipes from any website in one convenient location with just the click of a button. Once saved you can search, sort, and share. Skip the scraps of paper and save your most precious recipes online. Access them on your computer, tablet, or phone at any time. Members can upload photos on CDKitchen recipes, write reviews, and access our members-only message board. No symbols or spaces; 4-20 characters long. Online since 1995, CDKitchen has grown into a large collection of delicious recipes created by home cooks and professional chefs from around the world. We are all about tasty treats, good eats, and fun food. Join our community of 199,000+ other members - browse for a recipe, submit your own, add a review, or upload a recipe photo.